Norway might sound like a cold and arctic travel destination. This might be true for some (northern) regions of the country, but during summer, capital city Oslo turns into a vibrant and surprisingly warm city. During hot days, there’s nothing more relaxing than going swimming at one of the city’s many beaches! With the famously clean water, even in the city centre, there’s really nothing that should stop you. Oslo has an interesting climate: Because of its location by the sea (the Oslofjord), the Gulf Stream makes it warmer here than other places on the same latitude. At the same time, the mountains surrounding the city block the rain and the wind coming from the Atlantic Ocean. During summer, this combination means that Oslo often has sunny weather with temperatures up to 25 degrees Celsius. There’s a reason why “Paradise Bay” got its name. Take the bus to Bygdøy (the stop is called Huk), and find out if you agree or not. After the bus stop at Huk, take a short walk through the forest (there are signs and paths). 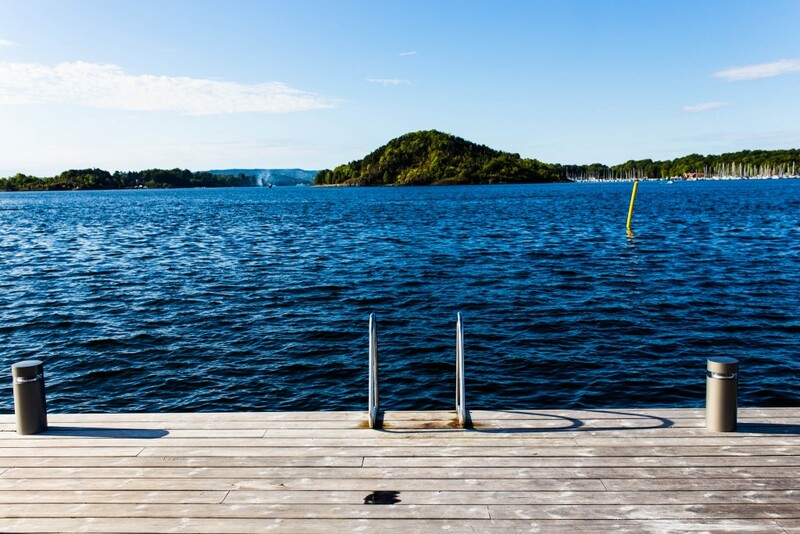 The two swimming places closest to the centre are Sørenga and Tjuvholmen, both in the salty water of the Oslofjord. 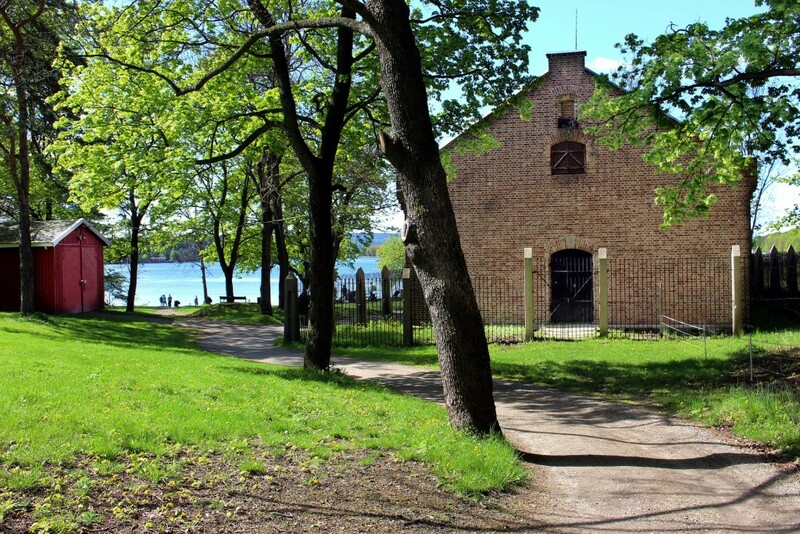 The one at Tjuvholmen is located at the furthest end of Aker Brygge, behind the Astrup Fearnley museum. Views on the fjord, the city hall, the islands, and the medieval Akerhus Fortress are included. The one at Sørenga is located behind the Opera House, and has probably the best infrastructure of all the swimming spots in town. 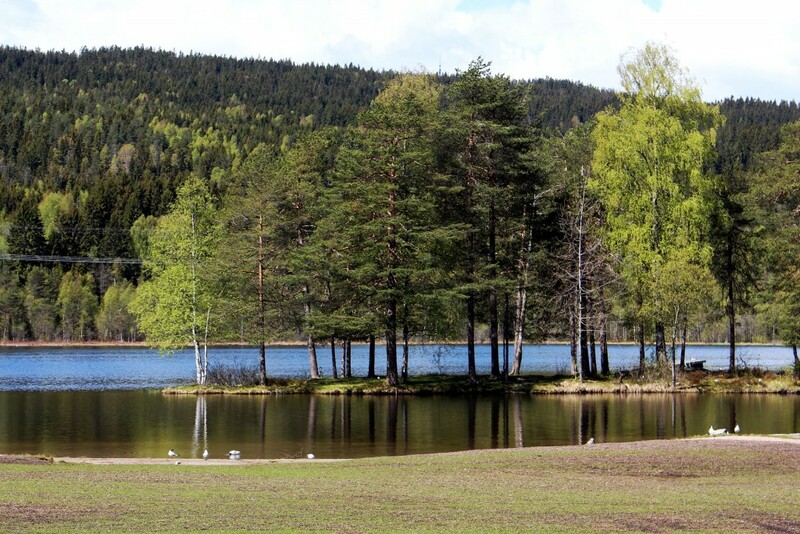 The lake Sognsvann is a popular hiking and swimming place for locals. It’s easily accessible by metro (the line is called Sognsvann, you just take it to the last stop and walk 5 minutes). Sognsvann lies at the beginning of the Nordmarka National Park, covering the whole north of Oslo. In the park are numerous hiking and biking trails, and lots of small lakes where it’s perfect to take a dive. The river Akerselva that runs through the city also has some great places to take a dive! These places are a bit lesser known, and are perfect if you want to avoid crowds with Norwegians or tourists. Both swimming places are located in a bay in the river, right before a waterfall. Upstream, there’s Frysja (next to the bus stop called Stillatorvet). More downstream, there’s Nydalsdammen. To get here, you can take the metro to Nydalen, and follow the river upstream (5-10 minutes) until you get to the waterfall and, behind it, the lake. Interested in seeing more of Oslo? Check out our budget guide here. 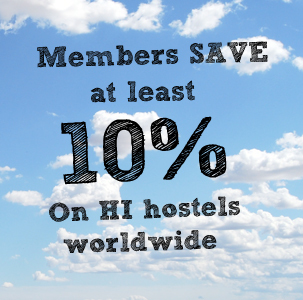 This article was originally published by our friends over at HI Norway.